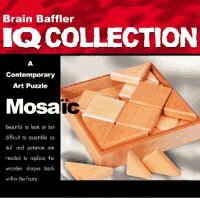 A contemporary art puzzle! Beautiful to look at but difficult to assemble, both skill and patience and required to replace the wooden puzzle pieces within the wooden frame. 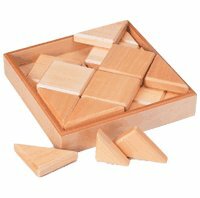 Includes 1 wooden frame, 12 puzzle pieces and instructions.